V70 2001 to 2007 with 25mm diameter Front anti-roll bar. This anti roll bar has a white paint marking, and code 3 on the chassis product plate. 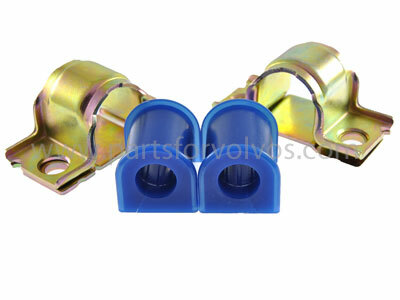 * Fitments include cars with four C chassis, and V70R models where the 25mm bar is installed. If in doubt, please supply your car's full chassis number and the product plate code from the lower RH half of the vin plate being 8 or 12 random digits depending on vehicle age.